Speaking with an estate planning attorney in Bucks County will ensure that your assets are protected in the future. By creating an estate plan, it will make sure that your family is provided for if an unexpected death were to occur. A Philadelphia estate planning lawyer can ensure that your family is provided for and not left out in the cold facing a financial mess when you are gone. 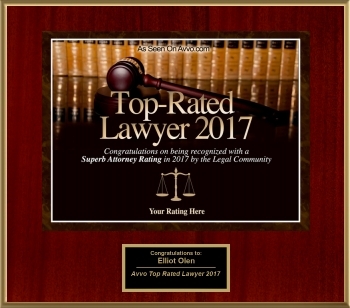 By contacting Olen Law offices and formulating a solid estate plan, you leave your loved ones with this security of knowing that they’ll be able to pay the bills, pay for a funeral and cover any medical bills that you may have outstanding. Without a will or trust in place, your loved ones could end up facing 3 to 9 months of waiting for your property to be distributed, and even then, it will make it more difficult for decisions to be made on who gets what. Your family will lose out on the assets that you worked so hard for if you don’t set up an estate plan with a knowledgeable and experienced team of Philadelphia estate administration attorneys. There are many ways that you can use tax reduction strategies to keep as much money possible for your family. The key to doing this is to start your planning sooner by contacting an estate planning attorney in Bucks County. Imagine trying to decide if you should pull the plug on a family member who is incapacitated. This heartbreaking decision is difficult for anyone. You can eliminate this burden by planning for it in advance. By speaking with a professional Philadelphia estate planning attorney, you can specify how to handle your end-of-life care and make sure that it’s in your estate plan. Do you want to leave these decisions up to your loved ones? If you don’t have a solid estate plan, do you know where your money goes? Typically, attorney’s fees will eat up your assets and court costs. When you pass away without having planned for your estate, you leave major decisions up to the courts. Do you want them to dictate how your property should be distributed or who has guardianship of your children? Your best choice is to contact Philadelphia estate administration attorneys who understand how to make a great estate plan for their clients.